The case was dismissed for lack of standing, according to the ruling, obtained by AppleInsider. The plaintiffs pointed to JetStream and GeekBench 4 benchmarks as showing that iOS 11.2.2 caused more performance degradation than claimed in some of Apple's own testing, and that this was backed up by the Department of Homeland Security's Computer Emergency Readiness Team (CERT). Davila called their argument "premised on a self-serving and selective reading of [the] Defendant's test results," however. The GeekBench 4 data indicated a "decrease in performance 'in most areas'," not all, Davila elaborated, adding that CERT's data showed slowdowns were frequent but not universal. "Even if the GeekBench 4 benchmark test results and CERT report are construed liberally in Plaintiffs' favor, these reports only support an inference that some users, not most and certainly not all users, experienced slower performance in their iDevices," the judge wrote. Davila also pointed out that the plaintiffs weren't forced to stop using their devices because of the hacking threat posed by the vulnerabilities, and that they didn't offer facts to show their devices had become worth less than what they paid after performance hits. Apple began the process of mitigating Mac vulnerabilities in December 2017, while later software and security updates patched iOS devices in January 2018. Additional fixes for macOS High Sierra and older Mac operating systems were also pushed out in January 2018. The suit was originally launched about a year ago, and charged that Apple had known about Meltdown and Spectre since June 2017. Apple only admitted that its chips had been susceptible in early January 2018, after having implemented the aforementioned patches. In order to stop these crazy lawsuits, we need to have he losing party pay the legal fees of the prevailing party. Conversely judges should be allowed to throw-out various lawsuits if these appear superficial based on existing and past case law. Finally, the patents trolls need to be enjoined from bringing any lawsuits unless they or their legal business partners are exercising the patent in a product. What’s the game pictured on the graphic? 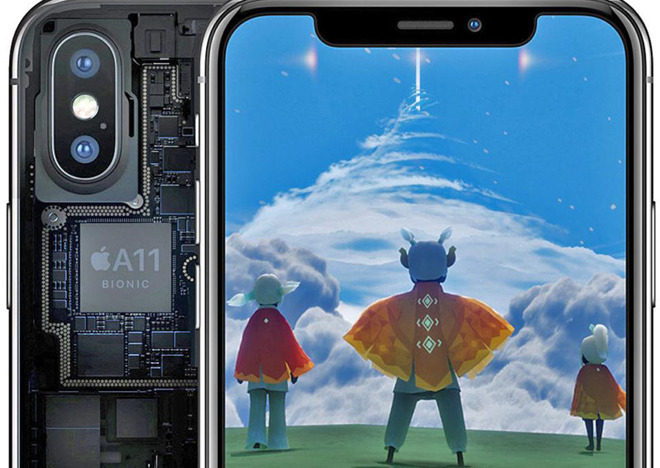 Initially thought to be limited to Intel silicon, Meltdown and Spectre were found to affect all modern processors, including ARM-based chips like Apple's A-series SoCs. Only the most recent ARM based processors were affected (the A75 and up). Earlier ARM designs were basically unaffected simply because they weren't advanced enough. Apple A Series going way back to the A7 were far more advanced than anything ARM, Samsung and Qualcomm produced and were years ahead in the areas of speculative execution, branch prediction and similar technologies. Anandtech famously said the A7 had more in common with Intel desktop processors than other mobile ARM processors. So in one way, having a highly advanced processor has made a higher number of iOS devices susceptible compared to their Android counterparts. You didn't read the article. This isn't about patents. Not using those sweet logos this time, eh? Only his last sentance mentioned patents. Most of his comment would apply to this case, and are changes, especially loser pays, I’ve thought were needed for years. The rules of civil procedure provide for attorney fees to the prevailing party in a motion to dismiss or motion for summary judgment. Rule 11 also provides for dismissal of frivolous lawsuits. Your last point is up to Congress, but likely would violate Article 1 Section 8 of the constitution, as well as the 5th amendment. Plus it would be unworkable in practice. For most people reading the headline seems to be enough to make a judgment.